Ikea is looking to eliminate one of the most annoying things about shopping at Ikea. 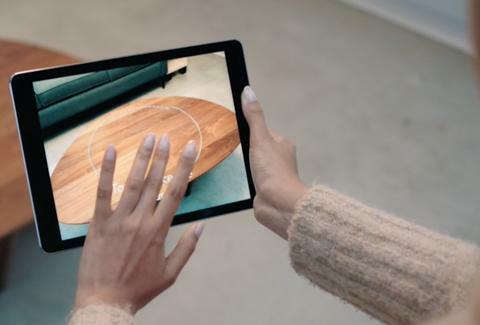 With the help of Apple, the Swedish furniture maker is creating an app that will allow prospective buyers the chance to see how furniture will look in their homes before they even make a purchase, all harnessed through the power of augmented reality. The company’s plans were laid bare by Ikea’s digital transformation manager, Michael Valdsgaard, in an interview with the Swedish website Di Digital. Lauding Apple’s AR technology, Valdsgaard explained that the product will be the “first augmented reality app that will enable you to make buying decisions.” In theory, a customer can choose between the 500-600 furniture items available in the app, and then place the item -- whether it’s an ottoman or coffee table -- in their home using their phone's camera. This will help people get a sense of how something might look in their homes before it’s actually there. The idea is to stave off the strain of traveling to Ikea with a tape measure, and potentially making a purchase before knowing if a chair will look appropriate in your living room. Apple, on the other hand, has been making a concerted push to be a leading player in the AR realm. Bloomberg reported in March that the Cupertino-based corporation has “hundreds of engineers devoted” to building Apple’s AR technologies, “including some on the iPhone camera team who are working on AR-related features for the iPhone.” Now, through Valdsgaard's admissions, it's evident that Apple is intent on using its AR platform as means of forging new business relationships with unlikely partners. Ikea's app is expected to launch in the fall, and perhaps expand your proclivity for impulse-buys into the arena of home-decor and furniture. Too bad there's no app that'll help you build your new furniture, too.